Music cover for the song Hear Me, Norma! 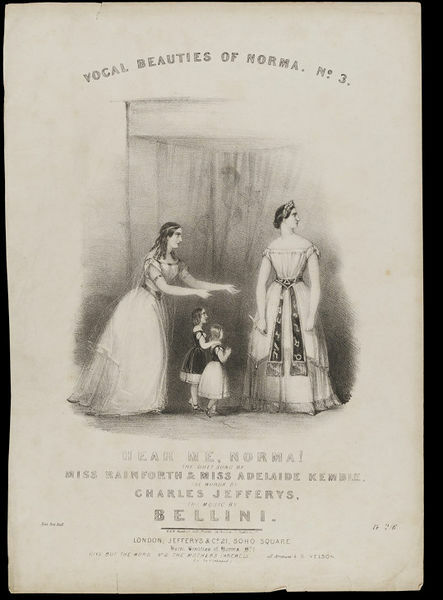 for Bellini's opera Norma, as sung by Miss Rainforth and Miss Adelaide Kemble. No. 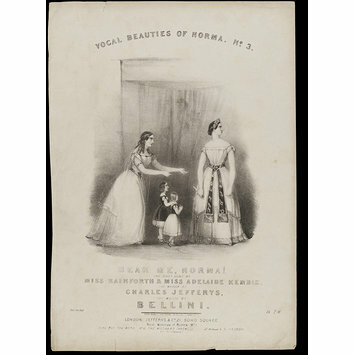 3 of a series of song sheets entitled 'Vocal Beauties fo Norma'. Published in London by Jefferys & Co. 19th c. Harry Beard Collection. 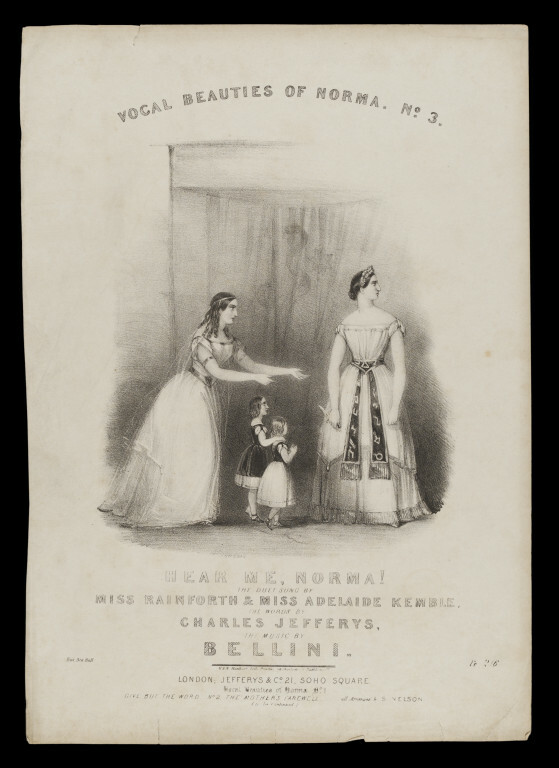 Lithograph, music cover for the song Hear Me, Norma! for Bellini's opera Norma. Music cover for the song Hear Me, Norma! for Bellini's opera Norma. Published in London by Jefferys & Co. 19th c. Harry Beard Collection.